It's been a while but I haven't been completely idle during the holiday season: In this post I am happy to present a small Blender addon that creates walls of irregular stacked stones. Inspired by the walls of the castles at Conwy and Beaumaris this addon aims to produce irregular walls, resembling the ones shown below. 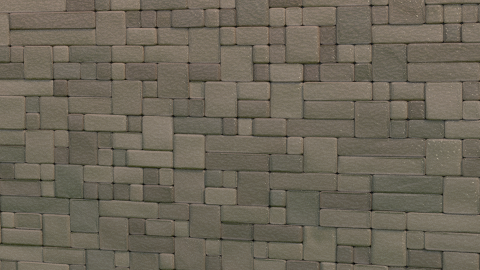 For quite some time Blender users have known the excellent masonry addon but I wanted irregular walls (and a proving ground for serious bmesh programming). The addon offers a number of controls to tweak the appearance that should be quite self explanatory. 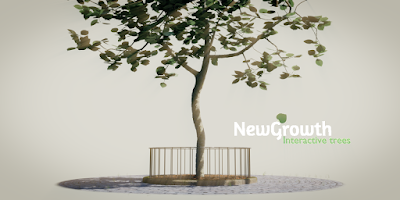 It's available from GitHub and discussed in this BlenderNation thread. Download it and select File->User Preferences->Addons->Install from file to install it and it will then be available in the Add->Add mesh menu in the 3D view. The mesh that is created consists of separate n-gons and the depth is provided by a solidify modifier topped by a bevel modifier. Currently you will have to do the uv-unwrapping yourself. The image at the start was created with a procedural stone texture. Interested in a professional add-on to capture all kinds of mesh characteristics into vertex groups or vertex colors? Then have a look at my WeightLifter addon on BlenderMarket. (In the first image it was used to quickly assign a random vertex color to each block to vary the coloring and bump mapping for each separate block).